There are 1 cat videos tagged with fainting-goat. These two cute kittens were diagnosed with fainting goat syndrome (myotonia congenita) which is very rare in cats. The condition caused the kittens to collapse and freeze for about a minute when they heard any sort of noise. Sadly, both kittens died in October 2010 from the condition. These two cute kittens were diagnosed with fainting goat syndrome (myotonia congenita) which is very rare in cats. The condition caused the kittens to collapse and freeze for about a minute when they heard any sort of noise. 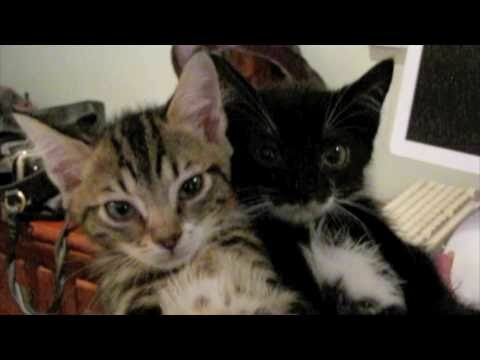 Sadly, both kittens died in October 2010 from the condition.